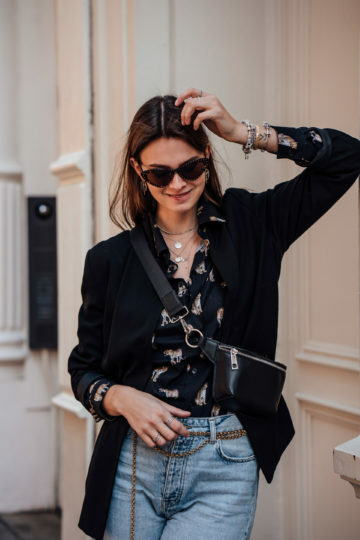 I’ve talked a lot about animal prints here on the blog already, and yet I am not done with this topic. You know, that it was not only a trend in 2019, it still is in 2019, and that’s why it’s still worth writing about it. I don’t know about you, but I think it’s one of the trends I had to get used to. Or at least I had to get used to some of the animal prints you can find in stores and online at the moment. Leopard print has been one of my favourites for a while now. 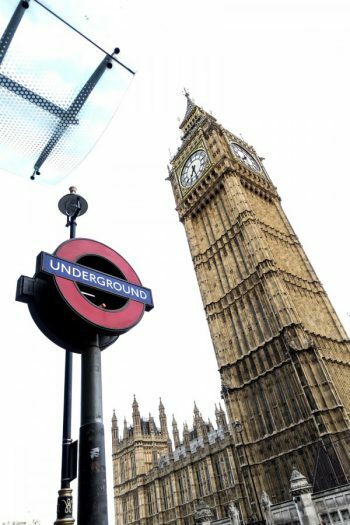 But as I already mentioned a few years ago, it depends on the print and its colour. This year two more animal prints popped up: snake print and zebra print and I still have to get used to them. I am having the hardest time with snake print even though I already tried a few different snake print pieces. Sometimes I see clothes and really like them, and I just want to give them a try. But it also happens that I only wear it once even though I try to think of at least three different outfit combinations before getting it. If you are also not a hundred percent sure about the animal print trend and if you want to wear it or not, I might have a solution for you. 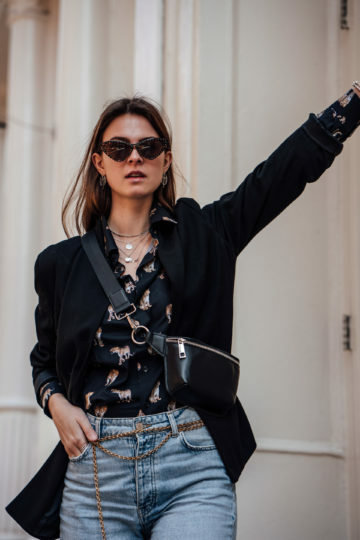 Read everything about another kind of animal print you might want to wear in 2019 in the following. I never really thought about this when I thought about animal print, but it also is some kind of an animal print: the animal itself and not only it’s fur. 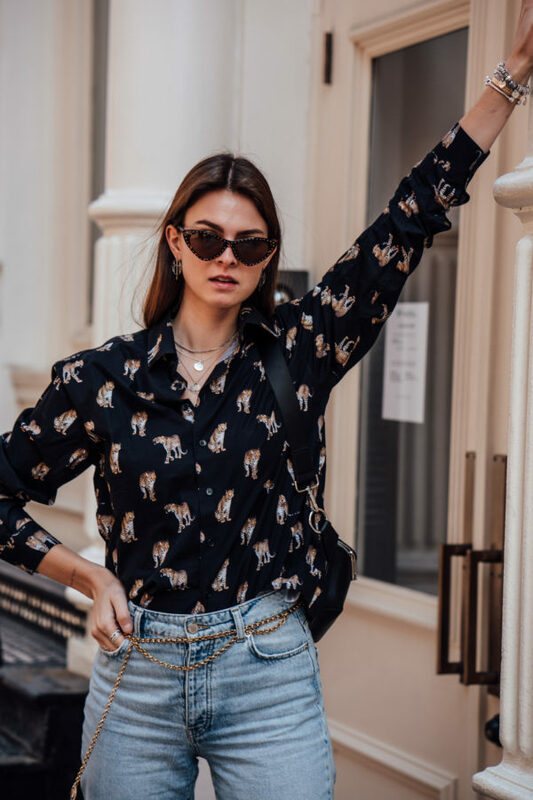 This shirt with leopards on it is the best example for it, and I can’t believe I never thought about this. Maybe because it’s just too simple. I got this men’s shirt just in time for our travel to New York and had to bring it. 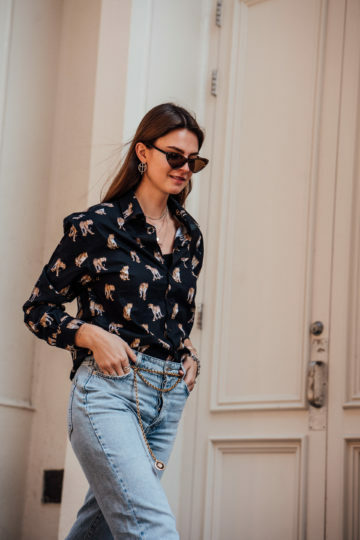 It’s not only that I love oversized shirts, but I also like leopard print, and this one looks so much chicer and classier than the other leopard print shirts I have in my closet. Since I was wearing it in New York and we were walking around a lot, I needed a comfortable outfit. 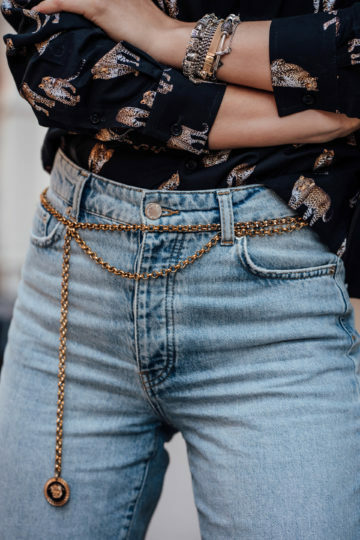 That’s why I combined my different kind of leopard print shirt with a pair of mom jeans, a black blazer and black sneakers. I also added a few details to make the outfit appear more interesting: a chain belt, earrings, a belt bag and a pair of sunglasses. 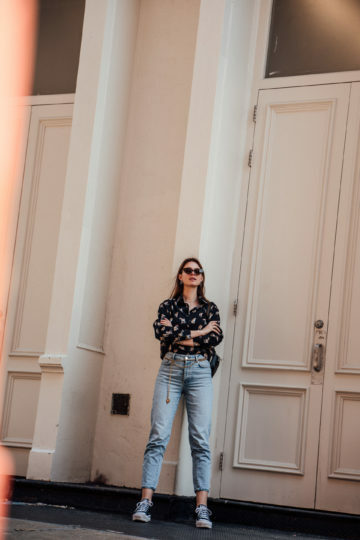 The final outfit is not only an outfit I would wear when on vacation in New York. I would also wear it in Berlin, no matter if I am spending the day in the office when having a meeting or on the weekend when running errands, going out with friends or just spending some time in our neighbourhood. It is the perfect everyday outfit no matter what you are up to. You can also change a few pieces to make the whole outfit either look a bit chicer or more casual. 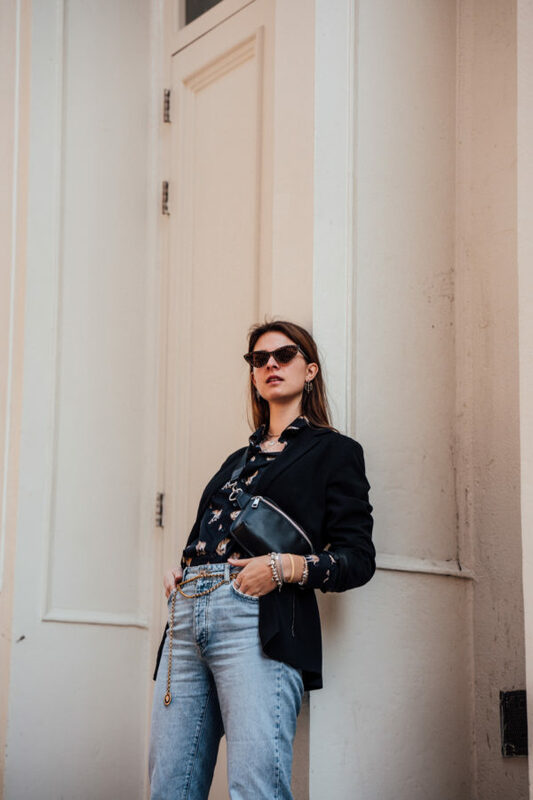 For a classier look, you can wear a pair of black boots or high heels instead of the sneakers, and for a more casual outfit, you can wear a denim jacket instead of the blazer.